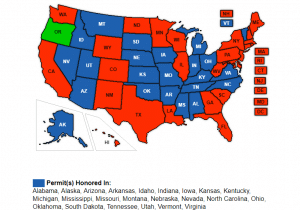 Oregon Concealed Handgun License is recognized in the following states: Alabama, Alaska, Arizona, Arkansas, Idaho, Indiana, Iowa, Kansas, Kentucky, Michigan, Mississippi, Missouri, Montana, Nebraska, North Carolina, Ohio, Oklahoma, Oregon, South Dakota, Tennessee, Utah, and Vermont. Oregon is a “Shall Issue” State which means the Sheriff’s Office has 45 days from the time an application is submitted to issue the license. The Sheriff of a County may issue a license to residents of States that border Oregon. The requirements are an applicant be at least 21 years of age and have no felony convictions and no misdemeanor convictions for domestic violence. This also includes active restraining and stalking orders. Oregon’s use of deadly force laws are covered under ORS 161.209-229. Applications need to be submitted in person at your County Sheriff’s office. Appointments typically need to be made prior to submitting an application and can be made either online or by phone. The Oregon Concealed Handgun License cost is $65.00 made payable to the sheriff’s office. The license renewal cost is $50.00 and needs to be done every 4 years. A change of address form must be turned into the local sheriff’s office no more than 30 days after a license holder changes residency. 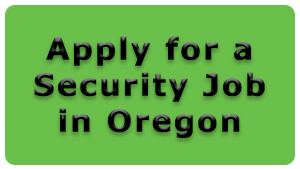 Applicants are required to bring a valid Oregon Driver’s License, Birth Certificate or US Passport, completed county application, $65.00 fee, and a certificate demonstrating competence with a handgun per ORS 166.291. 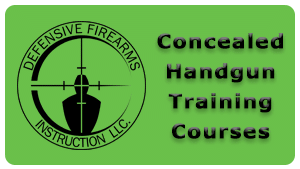 The certificate received from Concealed Handgun Lecture Course and the Concealed Handgun Live Fire Course offered by Defensive Firearms Instruction qualifies. Prior military applicants are required to bring a copy of their DD214 showing an honorable discharge. 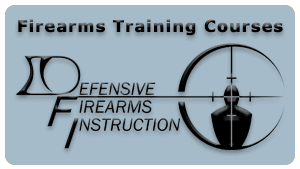 Applicants will receive their Oregon Concealed Handgun License by mail or a letter explaining why the license was not issued.